Add an Embroidered Design? : Make a choice... No thanks! Yes! 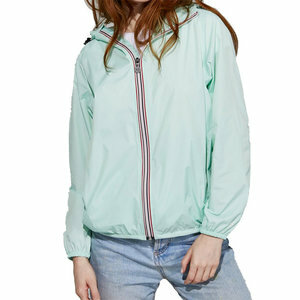 Our 100% polyester windbreaker is waterproof and breathable with heat sealed seams. For ultimate convenience, it packs itself into a small, portable pouch. Regular fit and mid-length, jacket features include custom O8 zipper, side pockets with hidden zippers, ergonomic hood with drawcord, and elasticized cuffs and waistband.